Lemon GreenTea: Super Junior is heading back to Manila! 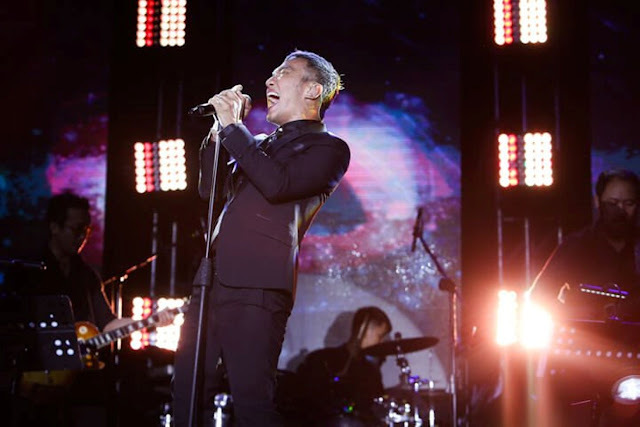 Globe continues to cement its title as the purveyor of the Filipino's lifestyle by providing premiere Korean pop concerts featuring top KPOP acts such as EXO, BTS, and BIGBANG. 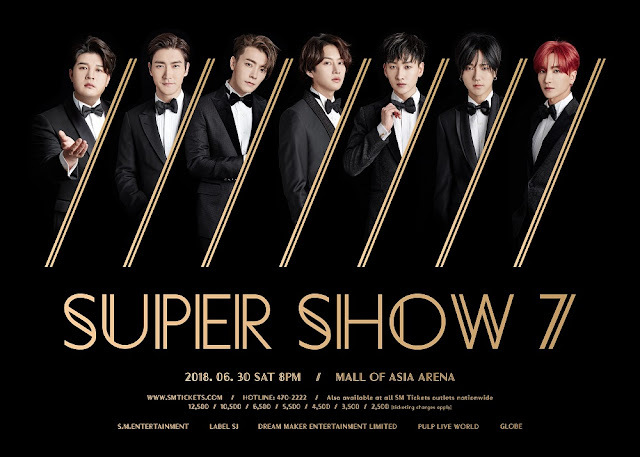 This June, Globe is set to offer another sought-after KPOP experience by again partnering with PULP Live World to bring Super Junior to Manila for Super Show 7 on June 30, 2018 at the SM Mall of Asia Arena! 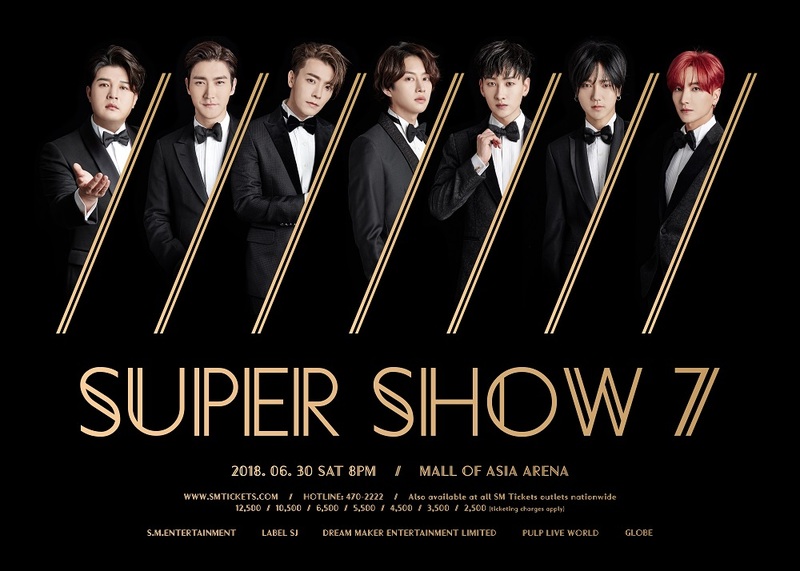 Don't miss the King of Hallyu Wave and witness Leeteuk, Heechul, Yesung, Shindong, Eunhyuk, Siwon, and Donghae as they give their Filipino fans yet another spectacular show! Globe Prepaid and Globe At Home are giving lucky Super Junior ELFs a chance to buy tickets for Super Show 7 in Manila ahead of everyone else! For Globe Prepaid customers, simply subscribe to GoSURF50, GOTSCOMBODD70, and GOTSCOMBODD90 until May 30. Register to the raffle by texting SJREG Name/Address/Birthyear to 2346. 350 lucky customers will receive a coupon code to get exclusive access on the June 2 ticket pre-sale at SM Ticket outlets! Globe At Home customers will get a chance to buy a ticket at the pre-sale event by purchasing a Globe At Home Prepaid WiFi modem for only P1,999 from the Globe Online Shop using their credit card, debit card, or GCash. They will then be entitled to buy one (1) ticket from the section of their choice during the pre-sale at SM Ticket outlets. First 100 purchasers of Prepaid WiFi on May 30, 2018 will get to buy VIP or Lower Box tickets. First 100 purchasers on May 31, 2018 will get to buy Upper Box tickets, and first 150 purchasers on June 1, 2018 will get a chance to buy General Admission tickets. With Globe At Home Prepaid WiFi, enjoy fast and reliable internet that’s 2X faster, has 2X stronger signal and 2X wider coverage vs MyFi. Load 1GB for as low as P15 with HomeSurf 15 (add on to GoSURF50) via the Globe At Home app and get an additional free 1GB for videos and games.